At Vespers yesterday afternoon the antiphons Ante luciferum genitus etc were sung with Pss. 109, 110, 111, 112 & 113. The chapter, Fratres: Obsecro vos, was proper to the Sunday. The Office hymn was Hostis Herodes impie. 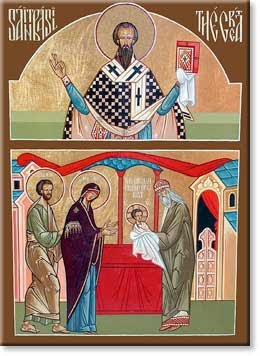 After the collect of the Sunday within the Octave a commemoration of the Octave of the Epiphany was sung (the antiphon on the Magnificat being proper to the sixth day within the Octave (11th January), Admoniti Magi. The Suffrages were omitted. At Compline Te lucis was sung with the Doxology Gloria tibi Domine, Qui apparuisti hodie etc as are the hymns of the Hours tomorrow. At Lauds the antiphons from the feast, Ante luciferum genitus etc are sung with the festal psalms (Pss. 92, 99, 62-66, Benedicite, 148-149-150). The chapter is proper to the Sunday, as sung at Vespers yesterday, the Office hymn is O Sola magnarum urbium. After the collect of the Sunday a commemoration is sung of the Octave, the antiphon on the Benedictus is Hodie caelesti etc. Vespers are first Vespers of the Octave-Day of the Epiphany. The antiphons Ante luciferum genitus etc were sung, doubled, with psalms 109, 110, 111, 112 & 116 as were sung as first Vespers on the feast of the Epiphany. The Office hymn was Hostis Herodes impie. The collect is proper to the Octave Day. After the collect a commemoration was sung of the Sunday within the Octave. The Suffrages are omitted as are the Domincal preces at Compline. 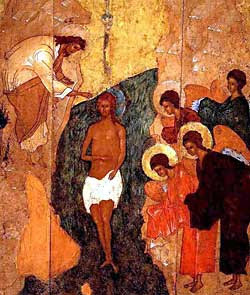 On this day the old Kalendar Armenians celebrate their ancient Theophany. 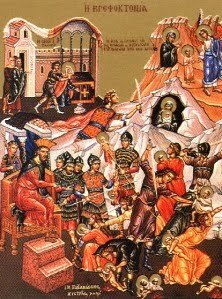 In the unlikely event that any old Kalendar Armenians read this may you have a blessed Theophany and may the LORD preserve and protect you and may you prosper. 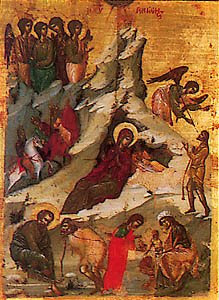 Yesterday afternoon second Vespers of the Octave Day of the Holy Innocents was sung. The antiphons Herodes iratus etc were sung, doubled, with psalms 109, 110, 111, 112 & 115. The Office hymn was Salvete flores martyrum, sung with the Doxology of the Incarnation. After the collect of the feast a commemoration was sung of the Vigil of the Epiphany (with the antiphon on the Magnificat and collect from the Sunday within the Octave of the Nativity). At Mass, sung after Terce, the Gloria is sung, the second collect of the BVM, Deus, qui salutis, the third collect Ecclesiae or pro papa. The Creed is sung and the preface is of the Nativity. The feast of St. Thomas of Canterbury is of semi-double rite and its liturgical colour of the day is red. This year the feast is transferred to today. 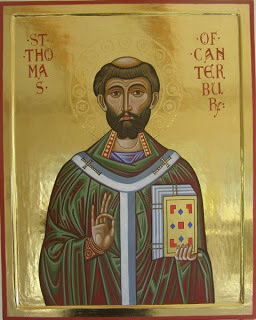 St. Thomas of Canterbury, or St. Thomas Becket, fell foul of the political machinations of King Henry II and was slain by the King's soldiers in Canterbury Cathedral on December 29th, 1170. The liturgical celebration of his feast entered Western calendars almost immediately after his canonisation. 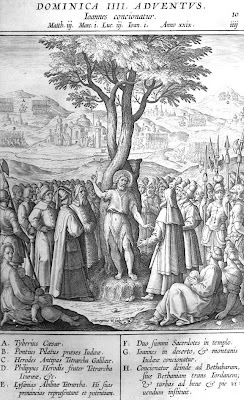 The Office is taken largely from the Common of Martyrs. At Vespers there is a colour change to white. The antiphons and psalms for Vespers of the Nativity are sung (the antiphons doubled) but from the chapter are of St. Sylvester of Rome. The Office hymn is Iste confessor. After the collect of the feastcommemorations are sung of St. Thomas, the Octave of the Nativity, the Octave of St. Stephen, the Octave of St. John and the Octave of the Holy Innocents. At Compline the Dominical preces are omitted being a double feast and within Octaves. Sunday within the Octave of the Nativity is of semi-double rite and its liturgical colour, from Mattins, is white. The feast of St. Thomas of Canterbury is transferred to tomorrow. At Vespers yesterday afternoon the antiphons, doubled, and psalms of the Nativity were sung. From the chapter the Office was of the Holy Innocents. The Office hymn was Salvete, flores Martyrum sung with the Doxology of the Incarnation. After the collect of the feast commemorations were sung of the Sunday within the Octave of the Nativity, the Octave of the Nativity, the Octave of St. Stephen and the Octave of St. John. At Compline Te lucis was sung with the Doxology of the Incarnation and the Dominical preces were omitted being within Octaves. At Vespers the antiphons, not doubled, and psalms of the Nativity are sung. From the chapter of the Sunday within the Octave. After the collect of the Sunday commemorations are sung of St. Thomas of Canterbury, the Octave of the Nativity, the Octave of St. Stephen, the Octave of St. John and the Octave of the Holy Innocents. At Compline the Dominical preces are omitted. 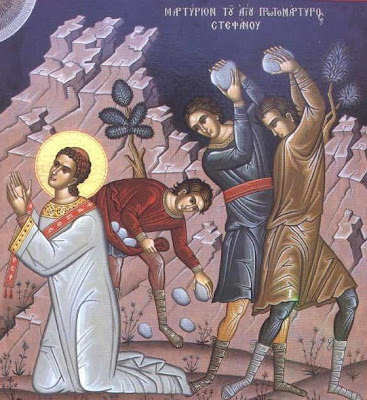 Vespers are of the Nativity, but from the chapter of the Holy Innocents with a commemoration of the following Sunday within the Octave of the Nativity, the Octave of the Nativity, the Octave of St. Stephen and the Octave of St. John. The feast of St. Thomas of Canterbury is transferred to Monday. Mattins has a single nocturn of three lessons. The invitatory is Hodie scietis quia veniet Dominus, Ex mane videbitis gloriam ejus and the hymn is Verbum supernum prodiens. The antiphons Ut non delinquam etc are sung with psalms 38, 39, 40, 41, 43, 44, 45, 46, 47, 48, 49 & 51 from the Psalter for Tuesday. The psalms are sung in pairs under six antiphons. After the last antiphon a versicle proper to the day, Hodie scietis, quia veniet Dominus, and its respond, Et mane videbitis gloriam ejus are sung. The homily is taken from St. Jerome's commentary on the first chapter of St. Matthew's Gospel. The first lesson consists of the text of both the first and second lessons in the post-Clementine books. The second lesson is the same as the modern third lesson. The third lesson, Joseph fili David noli timere (...) salvum faciet populum suum, is entirely absent from the post-Clementine books. A third responsory is sung in place of the Te Deum. At Lauds the antiphons, Judaea et Jerusalem nolite timere etc (sung under double rite), are proper to the day and are sung with the psalms of Sunday (92, 99, 62-66, Benedicite and 148-149-150. The Office hymn is Vox clara ecce intonat. The V & R, chapter, antiphon on the Benedictus, and collect are proper to the Vigil. The ferial preces are not sung. The Fourth Sunday of Advent is of semi-double rite. The liturgical colour, from Mattins onwards, is violet. At Vespers yesterday afternoon the antiphons Juravit Dominus etc were sung with Pss. 109, 112, 115, 125 & 138. The Office hymn was Exsultet caelum laudibus. After the collect of the feast of St. Thomas the fourth Sunday of Advent was commemorated with the Great 'O' antiphon O Oriens and the collect of the Sunday. At Compline the Dominical preces were omitted. Vespers are of the Sunday. The antiphons from Lauds, Canite tuba in Sion etc, are sung with psalms 109, 110, 111, 112 & 113. The Office hymn is Conditor alme siderum. The antiphon on the Magnificat is O Rex Gentium etc which is sung entire both before and after the Canticle with the choir standing. The Suffrages are omitted. Following Vespers of the Sunday Vespers of the Dead are sung. At Compline the Dominical preces are sung. The feast of St. Thomas the Apostle is of double rite and its liturgical colour is red. 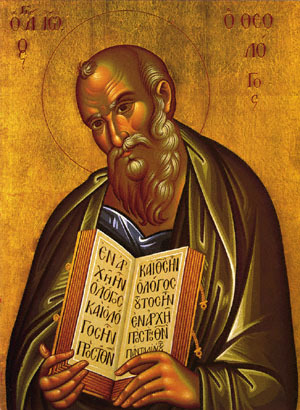 According to tradition St. Thomas preached the Gospel in Asia and the Indian sub-continent. He is believed to have founded, inter alia, the St. Thomas Christians on the West coast of India, one of several groups using the East-Syrian family of liturgies. 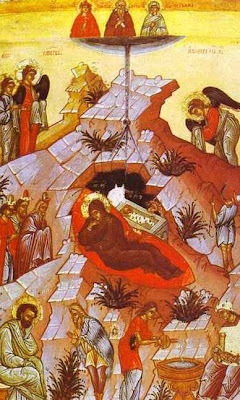 Today is also the Ember Saturday in Advent. At Vespers yesterday afternoon the antiphons Hoc est praeceptum meum etc were sung with psalms 109, 110, 111, 112 & 116. The Office hymn was Exsultet caelum laudibus. The antiphon on the Magnificat was proper to the feast, Quia vidisti me etc. After the collect of the feast the Advent feria was commemorated with the Great 'O' Antiphon appointed for the 20th December, O clavis David, and the collect of the preceding Sunday. At Compline the preces were omitted. At Mattins the invitatory is Regem Apostolorum Dominum, Venite adoremus and the Office hymn is Aeterna Christi munera. In the first nocturn the antiphons In omnem terram etc are sung with psalms 18, 33 & 44. The lessons are Sic nos existimet homo from St. Paul's First Epistle to the Corinthians. The third lesson is considerably longer than that found in the post-Clementine editions of the Breviary continuing Rogo ergo vos imatores mei (...) et spiritu, i.e, vv. 16-21. In the second nocturn the antiphons Principes populorum etc are sung with psalms 46, 60 & 63. The fourth lesson, proper to the feast, is the same as in modern editions of the Breviary. The fifth and sixth lessons are from a homily of St. Gregory (from the Common) and are longer than those found in the modern editions. In the third nocturn the antiphons Exaltabuntur etc are sung with psalms 74, 96 & 98. The homily on St. John's Gospel is from St. Gregory. These are the same as in the post-Clementine editions of the Breviary. 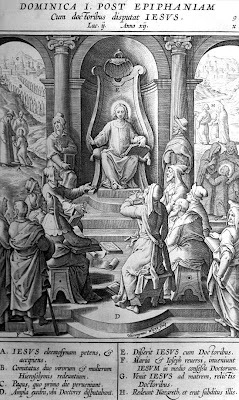 The eighth and ninth lessons appointed for the feast are read together to form the eighth lesson of the day and the ninth lesson is of the Ember Saturday. The three lessons are a homily of St. Ambrose on St. Luke's Gospel. These are longer than those found in the later editions. The Te Deum is sung. At Lauds the antiphons Hoc est praeceptum meum etc are sung with the Dominical psalms (92, 99, 62-66, Benedicite & 148-149-150). The antiphon on the Benedictus, Quia vidisti me, Thoma, credidisti: beati, qui non viderunt, et crediderunt, alleluia, is proper to the feast and refers to the incident recorded in the Gospel of St. John about St. Thomas' doubt in the Risen LORD. A commemoration is then made of the Ember Saturday, the antiphon on the Benedictus is proper to the 21st day of December Nolite timere, followed by the collect of the Ember Saturday. Mass is sung after Terce. The Gloria is sung, the second collect is of the Ember Saturday. The Creed is sung, the preface is of the Apostles and the last Gospel is of the Ember Saturday. At Vespers the antiphons Juravit Dominus etc are sung with Pss. 109, 112, 115, 125 & 138. The Office hymn is Exsultet caelum laudibus. After the collect of the feast the fourth Sunday of Advent is commemorated with the Great 'O' antiphon O Oriens and the collect of the Sunday. At Compline the Dominical preces are omitted. Ember Friday in Advent is a greater ferial day of simple rite. Its liturgical colour is violet. The Vigil of St. Thomas is not commemorated in the Office. At Mattins the invitatory is Prope est and the Office hymn is Verbum supernum. Mattins has a single nocturn of twelve psalms (Pss. 80, 81, 82, 83, 84, 85, 86, 87, 88, 93, 95 & 96). The lessons are taken from a homily of St. Ambrose on St. Luke's Gospel. The lessons are all significantly longer than those found in the later editions of the Breviary to the extent that the text of the third lesson is entirely absent from the later books. At Prime the antiphon Constantes estote is sung with psalms are Pss. 53, 21, 118(i) and 118(ii). The ferial and Dominical preces are sung, kneeling at Prime and the shorter set of ferial preces at the other Little Hours. Mass is sung after None. The texts are proper, the introit being Prope es tu etc. 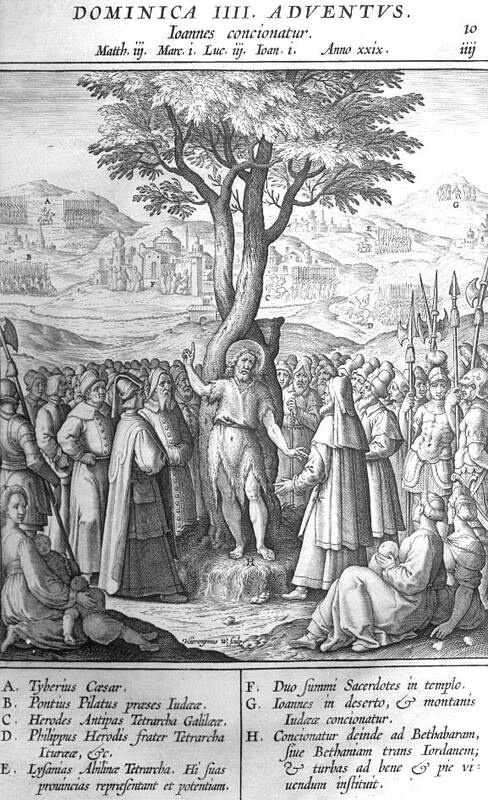 The second collect is of the Vigil of St. Thomas, the third collect isDeus, qui de beatae . The dismissal is Benedicamus Domino sung by the deacon facing the altar. The ministers wear violet folded chasubles. With the celebration of the Eucharist the Office of the Ember Day ends. Vespers are first Vespers of the feast of St. Thomas the Apostle. The antiphons Hoc est praeceptum meum etc are sung with psalms 109, 110, 111, 112 & 116. The Office hymn is Exsultet caelum laudibus. The antiphon on the Magnificat is proper to the feast, Quia vidisti me etc. After the collect of the feast the Advent feria is commemorated with the Great 'O' Antiphon appointed for the 20th December O clavis David and the collect of the preceding Sunday. At Compline the preces are omitted.